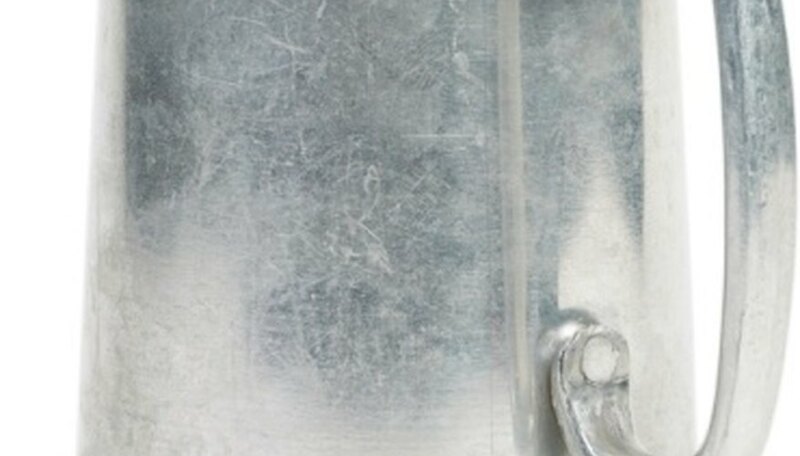 Manufacturing marks are key to providing proof of authenticity to any collector of antique items made in Germany. Porcelain plates, antique dolls, steins (German beer mugs with lids), glassware, flatware, silverware and guns all have distinctive markings and manufacturers. Regardless of the item, all genuine German manufacturing marks are preceded by either one of these: “D.R.P.,” “D.R.,” “Ges. Gesch,” “Ges. Mbh,” “Gehbruder” or “Fabrikmarke West Germany.” These initials refer to certain recognized German manufacturing phrases. Obtain formal authentication from museum experts and universities. Keep in mind that pottery and enamelware are interchangeable terms with German porcelain. If the item is authentic porcelain, it should have a smooth, glassy feel; it should glow gently (called translucence) when held up against the light and look delicate with finely executed details. 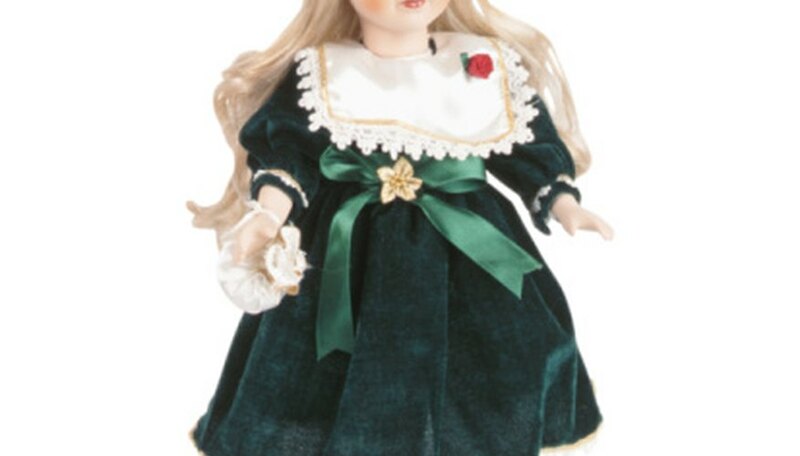 Look for gray eyes in antique porcelain dolls. Gray eyes make them far more valuable than dolls with blue or brown eyes. Note any unusual shapes. The period after World War II became notable for the dominance of unusual shapes in German porcelain-making history. 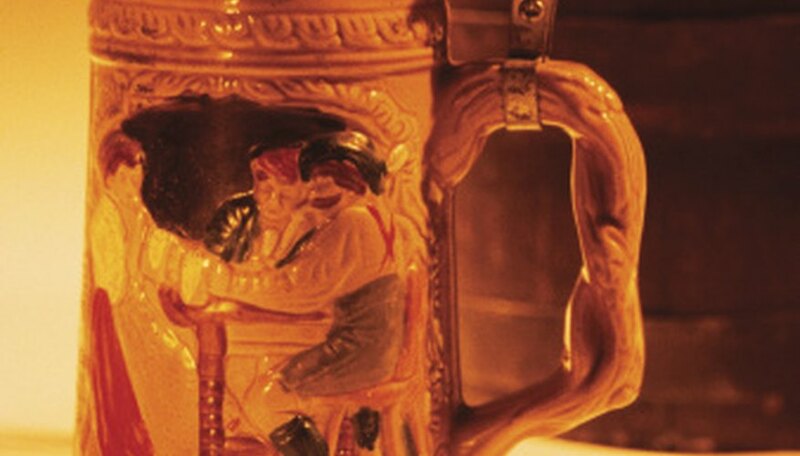 Look for German manufacturing marks on the stein’s body either behind or below the handle. “D.R.P.,” “D.R.” and similar marks (as discussed in the Introduction) should precede the maker’s names. Confirm that it is followed by the name of the stein manufacturer, such as Diesinger (Höhr), Simon Peter Gerz (Sessenbach) or Villeroy and Boch (Dresden). Confirm further authenticity by checking how the marks were made. Marks are usually raised, but they can also be impressed. 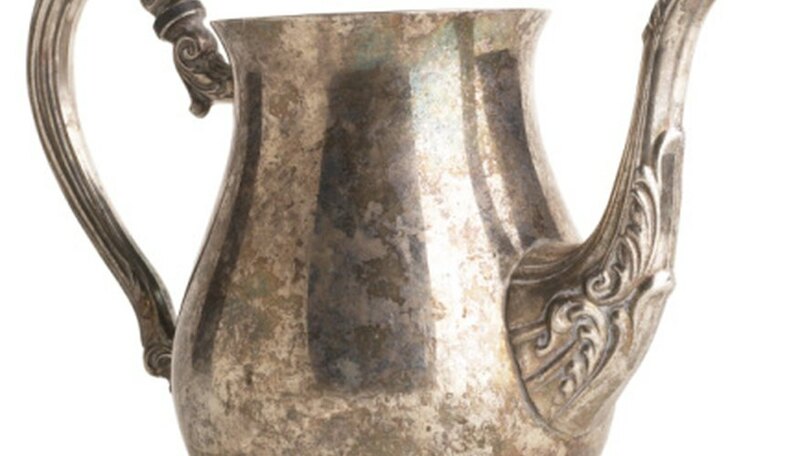 Compare your stein’s markings with the actual photos of these marks on web sites and references where history and markings of steins are specifically discussed, along with close-up photos. Check for the following marks and brands: the 18th and 19th centuries used German city marks depicted by an eagle, a hand, three-tower mark, pine cone, aletter B with a number, a lion with a diagonal slash across it, a standing bear or a key within a shield cartouche; after 1886, brands including crescent moons, crown marks and the marks of Robert Altermann, Joseph Arnold, Auerhahn, Bauer, Breidenstein and Renaud were used. 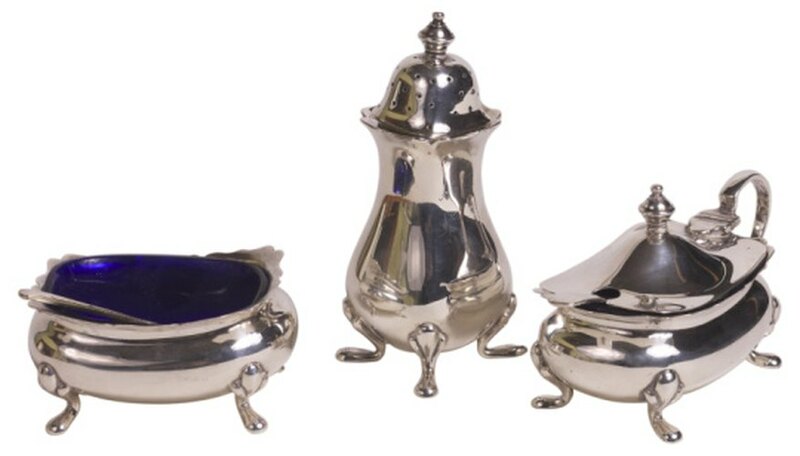 Check silverware websites, books or encyclopedias featuring close-up photos of silver marks, hallmarks, and maker’s marks to compare with yours. Check for pseudo-marks/fake marks at the same sites, books, or encyclopedias that have photos of authentic marks. Comprehensive books also feature photos of such fake marks. Find museum experts to formally authenticate.